Music by Katharina Weber (SUISA). Lenz. Graphic design: Jonas Schoder. Photo: Francesca Pfeffer. 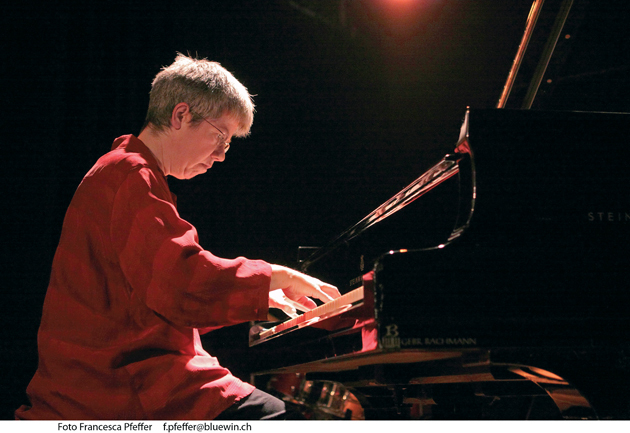 Als «neue Piano-Ikone» beschreibt Fred Frith die Schweizer Pianistin Katharina Weber. Die klassisch ausgebildete Pianistin und Komponistin bewegt sich seit bald dreissig Jahren in in der Welt der Neuen Musik und der Improvisation. Mit der CD Woven Time stellt sich Katharina Weber erstmals als Solo Pianistin vor. Die 15 Improvisationen erzeugen in ihrer farbigen und samtenen Klanglichkeit wunderschöne Stimmungen. Einige Stücke wecken Assoziationen an die Frühromantik, andere an György Kurtág oder Galina Ustvolskaya. Katharina Webers Musik bewegt sich in der grosse Welt der heutigen Musik, in der Grenzen nicht mehr existieren und Neue Musik und Jazzimprovisation verschmelzen. 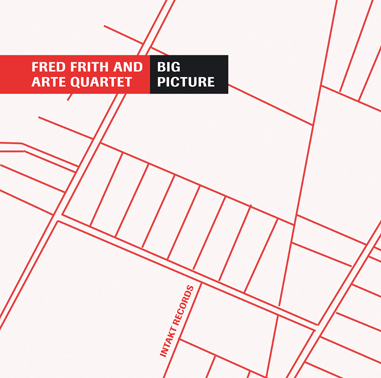 A new piano icon – this is how Fred Frith describes Katharina Weber. For almost thirty years now the classically educated pianist and composer moves within the world of New Music and Improvisation. 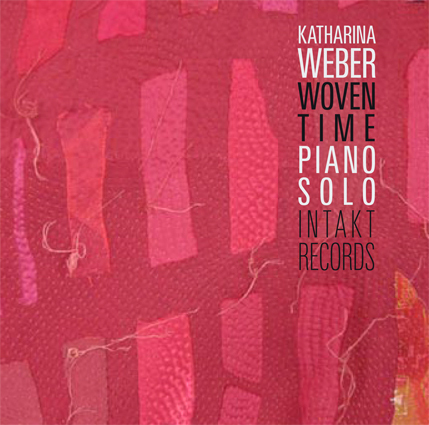 The CD Woven Time is Katharina Weber’s debut as a solo pianist. These 15 improvisations with their colourful velvety timbre produce a beautiful atmosphere. Some pieces call up associations with Early Romanticism, others remind of György Kurtág or Galina Ustvolskaya. Katharina Weber’s music roams in the huge world of today’s music where borders no longer exist and where New Music and jazz improvisation melt into each other. In spite of her classical background, Katharina Weber doesn’t, in the subtly pejorative phrase of a critic of my acquaintance, “improvise like a classical musician.” She improvises like Katharina Weber, which means she doesn’t sound like anyone else, no mean feat in a musical form that has produced a lot of iconic pianists, and in a country where some of the best have made their careers. Because of her background we may be liable, of course, to make certain associations – I sometimes found myself referencing Messiaen, Feldman, Scelsi. But when I stopped to think about it, these are some of MY favorite composers, so it’s hardly surprising that I relate what I hear to what I know. What is striking is how open Katharina is to draw on everything SHE knows, while relentlessly pursuing what she doesn’t. She has exquisite touch and timing, an ability to work with both “pitch” and “sound” orientation, curiously elastic phrasing, architectural clarity, all these no doubt rooted in training, technique, practice, will. On the other hand there is her restlessness – probing, obsessive, intense, drawing energies out of the bass register of the piano that we seldom hear, obstinately insisting on the material as if it were trying to escape from her and she’s forced to keep it in line. This is cinema, and as the record unfolds I identify each piece as a character in an ongoing movie, a mystery of course, a thriller with several possible endings, an enigma that reveals something different each time we “see” it, some detail that escaped our attention. This is also drama teetering on the edge of melodrama, but held back by discipline, by a use of resonance so extreme that it starts to sound like electronic music, by moments of charming eccentricity, by two hands playing so differently from each other that the result sounds like a duet, as if Glenn Gould had suddenly reincarnated as an improviser! In fact this extraordinary performer frequently appears to endow the instrument with characteristics that seem physically impossible, rather like Thelonious Monk and his “bent” notes. Gould, Monk – those are big shoes to fill. That I’m forced to refer to such names when searching for ways to describe Katharina Weber’s playing suggests that Switzerland has a new piano icon.